Adam is a nonfiction writer focusing on landscape, nature, the environment, science, place, and raising kids to love the outdoors. He is also a practicing landscape architect. He has won awards for both his writing and design and has published widely in design magazines. He currently works at the Minneapolis Park and Recreation Board. 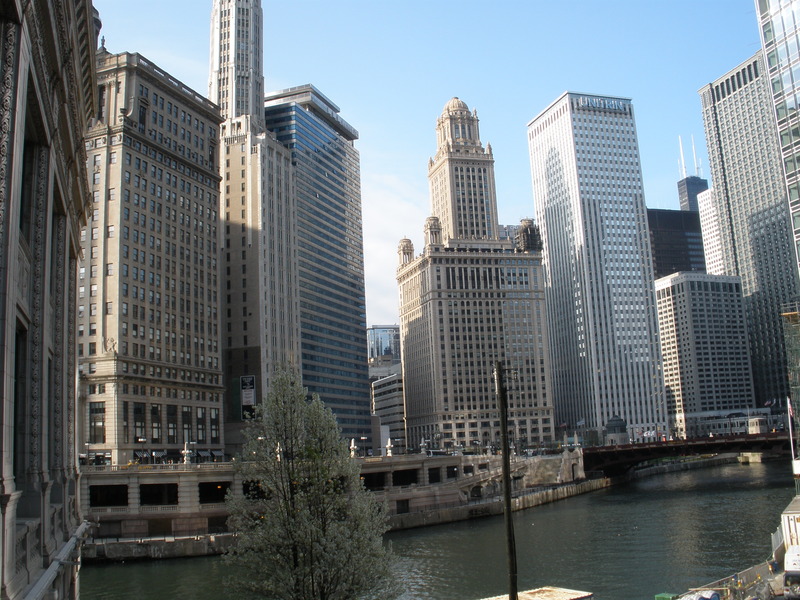 In 2009, Chicago rolled out a document designed to make every land use decision in the city more environmentally sound. See how it’s working in the June issue of Landscape Architecture Magazine. An excerpt…. Chicago is shedding its mantle of grit, is long past its days as hog butcher to the world, and has recently accomplished far greater infrastructural achievements than reversing its river’s flow in 1900 (which it did to send sewage downstream, rather than into Lake Michigan). There are the city hall green roof (and a lot of others), green alleys all over town, Millennium Park, the museum campus—all of which have appeared in the glossy pages of magazines, including this one. So when the City of Chicago won a 2011 ASLA Professional Award for analysis and planning (yes, the city itself was the recipient) for its new document Adding Green to Urban Design, some people may have wondered what else Chicago really needed to do to bolster its green image. How, in light of all the city has done, could this new document be necessary? For starters, when Adding Green to Urban Design was completed in 2009, change was afoot. In September 2010, Mayor Richard M. Daley, the recognized impetus for much of Chicago’s greening, announced he would not seek reelection (he had been in office since 1989). Rahm Emanuel, the former Illinois congressman and President Obama’s former chief of staff, took over as mayor in May 2011. On January 1, 2012, a reorganization that was probably in the works before Emanuel’s tenure eliminated the Department of the Environment and placed environmental staff within each remaining city department. This was the second major recent reorganization to deal with land use and sustainability. Before 2009, several departments were merged into the Department of Housing and Economic Development, which handles a broad range of city functions, including historic preservation, land-use planning, zoning administration, and, since the 2012 re-reorganization, sustainable development. Check out the magazine’s website if you want to read more (digital single-issue purchases available). Or, read Adding Green to Urban Design at the City of Chicago’s own website. Compelling stories of Minnesota’s endangered species, the landscapes that nurture them, and the people who are discovering their secrets. Greening the Landscape is now available from W.W. Norton. Written for land owners, design professionals, and anyone who constructs or maintains landscapes, the book is a guide to making environmentally sound decisions. “Nature Writing in America,” a series published on line at Numero Cinq, is now available as a limited edition book: Nature, Then.